With a New Year there's a New theme! We have themed our year around songs that will hopefully bring smiles throughout the year and may it inspire your creativity. To start January, Creativation Event and New Year's resolution around this Jason Mraz song. click the link listen to works that express our wishes for all of you! Hello friends! It's Karla here today to share some of the exciting things going on right now. With Creativation actually happening this weekend I couldn't help but bring you some sneak peeks of the amazing new products we have for you!! Here's a look at just a few of the fabulous new Emerald Creek Embossing Powders designed by Seth Apter and a wonderful new Embossing Powder designed by Gwen Lafleur, along with two beautiful new gemstones she has designed! I had so much fun playing with these goodies. I love swatching out new powders to get an idea of how they are going to look once they melt into gorgeous puddles! Check out this video to see how these powders look close up, and get a good look at the amazing gemstones! And here's what I created using these amazing products! 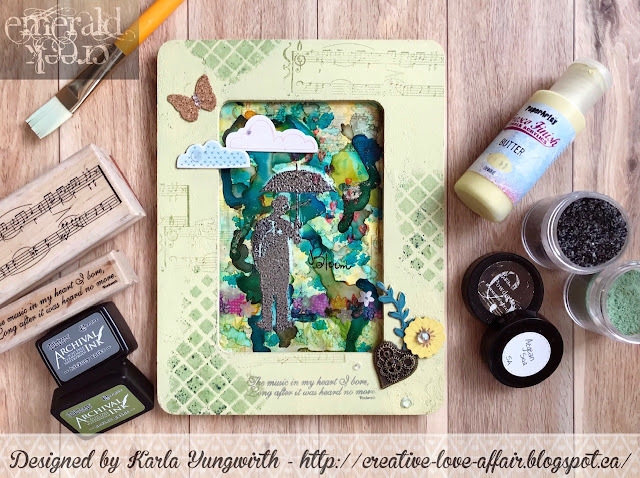 Check out the process video to see exactly how I created this beautiful canvas! Thanks so much for stopping by! Even though this is my last post for this Design Team term, you'll definitely be seeing me around 😉 and I'm so excited for you to see what the new DT comes up with starting next month! I cannot wait to play with more of these fabulous new release products as they become available. I know you're going to love them too! 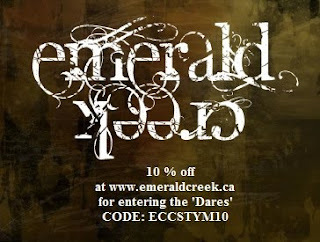 on your posts as well so we can reference them and if you add and tag various Emerald Creek product you will get a bonus entry!! At the end of the month we will pick a winner and send a prize pack to the Winner as well as link up their project and share it out. What a beautiful piece! I love how you used the Boho Blends and Boho Bits and mixed them with the Baked Textures... it all came together really nicely.